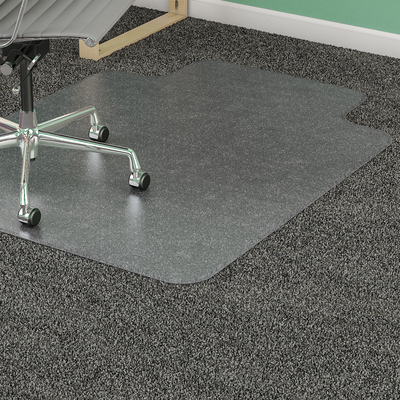 Antistatic, Low-Use Chairmat With Wide Lip And Studded Back Is Ideal For Low-Pile And Texturized Carpets Up To 3/8" Thick, Including Padding. Antistatic Design Eliminates Static Charges To Help Prevent Damage To Your Computer. Chairmat Requires No Ground Cord. Design Also Features A Straight Edge That Is Designed For Easy, On-Off Chair Movement. Lip Measures 25" X 12". More From The Manufacturer.